170421 is still at Selhurst. The other three are at Wolverton. 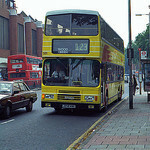 The First 170/4 is expected to return to Selhurst tomorrow with 421 heading the other way. The May timetable change maybe slightly optimistic but it won't be long. 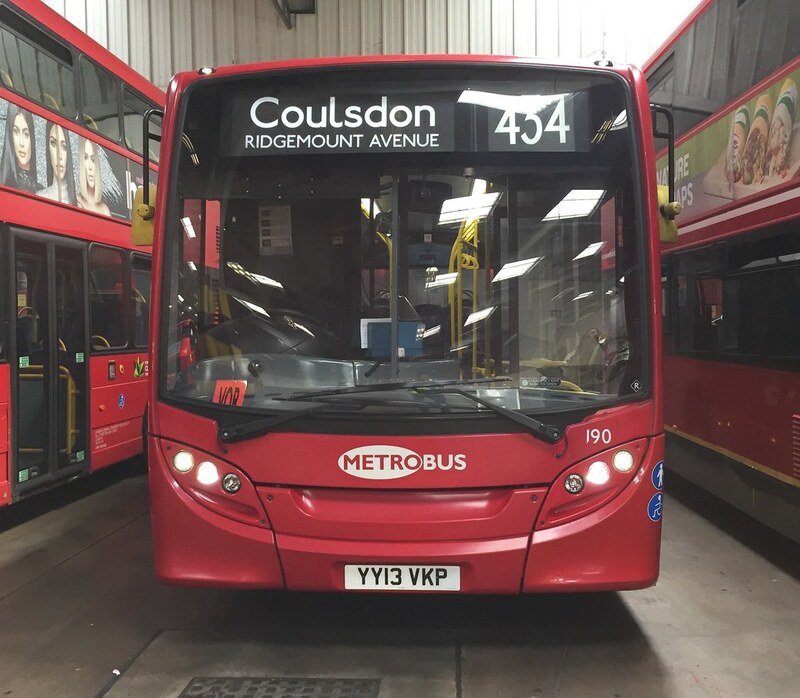 The first 442 has gone off lease, 442 422 is now stored at Eastleigh Works. 170423 has returned to Selhurst in Southern livery, saw it the other day. What a shame, I'll personally miss the 442s but to be really fair I think it was an absolutely ridiculous idea to replace the 460s with them in the first place. Heads Up : I have been told that there is going to be a Thameslink fleet launch tomorrow. Yes Roger Ford mentioned it in his Informed Sources preview E Mail that arrived today. The Aslef ballot concerning the extension of DOO on the Southern network has returned with 84.4% in support of a strike and 95.8% in support of action just short of a strike, with a turnout of over 82%. Those numbers are well above the Conservative Government’s latest legislation to reduce workers’ rights to strike. If turnout and support continue to be this high then the new legislation will have very little effect. All the legislation does is create a target level to exceed and well run unions with genuine disputes will easily get their members to vote in sufficient numbers to beat any target level. All it does is "up the stakes" because the unions can point to massive levels of support. Not sure that's what employers really wanted but hey ho that's what they're going to get. Just goes to show that superficially attractive policies dreamt up off the back of a knee jerk reaction to something can have unexpected consequences. Rumours at the moment appear to be true with the First class 700 due to run for a press launch, later this lunchtime. - I'll miss it being on nights and what not. If anybody's interested the timings on our intranet and other sites state that the service will run as 1Z53 12:26 BFR - ECR 13:07 if the overall service runs to time and schedule, 1Z53 will be departing from platform 4. Running non stop to East Croydon via Crystal Palace. 700110 FLU has been testing over this side on the Hertford Loop in conjunction with the ECTS Level 2 between Hertford North and Stevenage via Watton-at-stone, off peak. Which has continued to see the hourly services beyond Hertford North to Letchworth & Stevenage running Bi-directional on the up road in both directions. Over the past weekend 110 returned to the darkside and we've now received 700004 RLU. A block is due to commence from Close of Traffic on Friday night, over the Late May Bank Holiday period to enable the full commission of The Canal Tunnels which have been intact, with trackwork connected between the ECML and core for some time now. The upgraded Hornsey depot will be finished over this forthcoming weekend, all OHL's energised and point and trackwork connected to the rest of the network; Overhead renewals at NBA. An operation that is common on some early sunday mornings will be in effect over the weekend, Single line working and a reduced service will be in effect across the Great Northern Network. The Northern City line will be closed throughout, Harringay and Hornsey will not be served by any train nor any rail replacement. 700109 is the press launch train. I assume the signalling to allow movements into and through the Canal Tunnels also gets activated this weekend? Yes, included in the full commission is the Signalling & the OHL's energised at all times. This may see the cessation of Thameslink fleet moves for Wheel Lathe attention at XHE. 319's and 377's run from Bedford Cauldwell, via the MML, SLL,WLL,NLL & King's Cross Incline onto the DS Ecml line. Subject to DFT permission, but they're all likely to go ahead. Great Northern received the first of it's new(ish) toys this week, with the first two 387 units have started coming over from TL to begin driver training before entering service on the GN, with the 317's and 321's being removed at the end of the year or before if the cascade of units comes into effect and the 700's enter service. 387106 & 114 are the first two and arrived earlier this week, with another expected by the end of this week. 2 700's are currently being outstabled at Ferme Park, with another couple stabled in the yard at XHE.